His best known and most beloved character might call the outpouring of emotion illogical, but fans of Star Trek and science alike are grieving the loss of Leonard Nimoy after his death Friday at the age of 83. As the rational and seemingly detached Mr. Spock on the original Star Trek TV series and movies, Nimoy is being hailed by his fellow actors and fans alike as a kind-hearted person who appreciated all that came with his role. 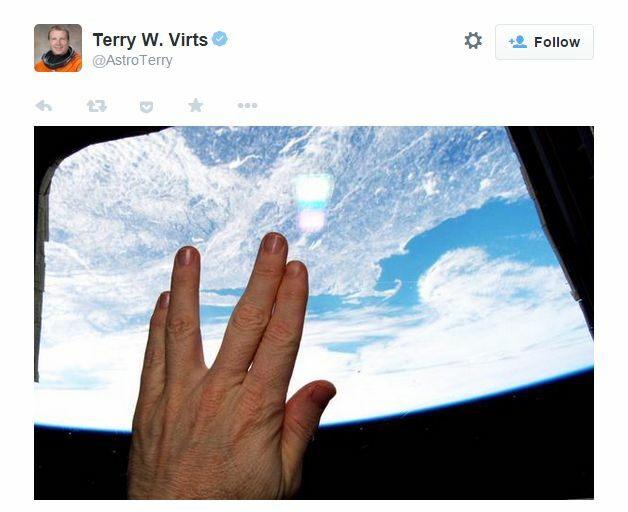 Twitter tributes came quickly as news spread, with many posting photos of their hands in the iconic Vulcan salute, fingers forming a V. Perhaps the best came from NASA astronaut Terry Virts, who posted his Saturday morning from the International Space Station while flying over Boston, Mass., Nimoy’s hometown. The salute was inspired by the way Jewish priests hold their hands when giving a blessing, a memory from his childhood. The child of Ukrainian Jewish immigrants, Nimoy’s career included much more than Star Trek, including appearing in a video short for the Bangles Greatest Hits release, one episode of Columbo, a recurring character on the Mission: Impossible TV series and a surprising number of Western-themed shows like Gunsmoke, The Virginian and even a Bonanza TV movie. His first acting credit came at the age of 20, when he played a character named Chief in the 1951 movie Queen for a Day. Nimoy also tried his hand at directing, with credits including Star Trek III and IV, along with (surprisingly) Three Men and a Baby in 1987. In addition to his two seemingly contradictory-titled books, 1975’s I Am Not Spock and 1995’s I Am Spock, Nimoy also wrote several volumes of poetry and adapted a one-man show based on a 1979 play about Vincent Van Gogh, according to Nimoy’s Wikipedia entry. However, acting wasn’t his only passion. Nimoy was a respected photographer as well, dabbling in film since he was 13 and developed photos in his family’s bathroom, according to the New York Times. He studied with conceptual photographer Robert Heinecken in the early 1970s at the University of California, Los Angeles, and was so serious about photography he considered leaving acting altogether within a few years. While he made brief cameo appearances in the two most recent Star Trek movies, he had largely spent his time away from the screen and focused on photography. In 2010, Nimoy had his first solo show at the Massachusetts Museum of Contemporary Art, a collection called “Secret Selves,” featuring portraits of people showing off sides of themselves that they might otherwise hide. Among the portraits were a painter who dressed as a woodland fairy, a rabbi who arrived in leather and a transgendered former Marine who wore a cancan outfit, the Times reported. He was also an advocate for science and exploration, earning him praise and admiration from NASA and researchers alike. “Paradoxically, it’s the humanity in the character of Spock, even when he was playing an alien, that really made him beloved by the fan community,” Margaret Weitekamp, curator of science fiction and space memorabilia at the Smithsonian’s National Air and Space Museum in Washington, D.C., told Smithsonian Magazine. The museum tweeted a photo of the pointed ears worn by Nimoy in Star Trek II: The Wrath of Kahn on Friday afternoon. 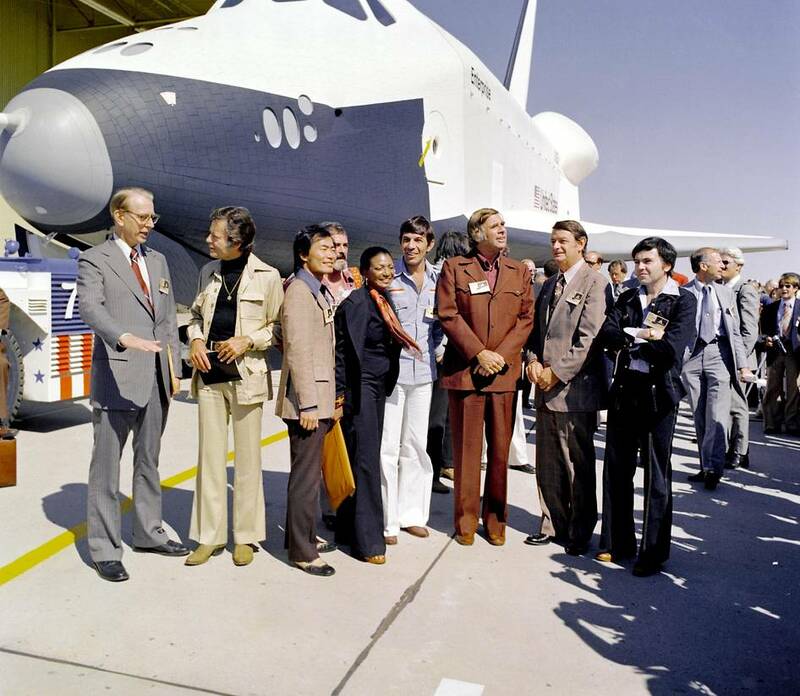 NASA named a test shuttles Enterprise, after the legendary spacecraft from Star Trek, in the 1970s. Nimoy also was on hand when the shuttle was transported to New York City’s Intrepid Sea, Air & Space Museum for permanent display. Most of Nimoy’s tweets contained that signature, which stands, of course, for “live long and prosper,” the verbal half of the Vulcan salute. The same is true for his last tweet, sent just days before his death.